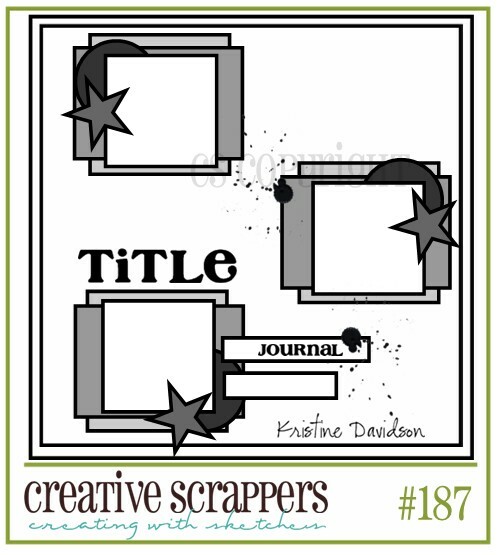 This is a layout I created for Creative Scrappers' Sketch #187 Challenge. I love sketches that allows multiple photos and layering. Had fun playing with Amy Tangerine, Pebbles and Studio Calico's Memoir collection. Do check out Creative Scrappers' blog. It's such an awesome place. Loads of sketches and inspirations. It will surely blow you away! !